When I tell them they are Jesus’ grandparents, I often get even more befuddled looks. What’s so interesting to me is the fact that despite the Christian belief that Jesus was truly and fully human, many Christians don’t consider that, just like every other truly and fully human out there, he had grandparents! Yep, grandpa and grandma, pappy and nanny; who knows what he called them but he had them! This gets interesting, though, because the names of Jesus’ grandparents are not recorded in the Bible. So to many Christians, especially those who believe that the Bible alone contains all we need to know about faith, Anne and Joachim, parents of Mary and grandparents of Jesus, just don’t come onto the radar. But Catholics have a little more to draw from. We’ve got Scripture, which is our go-to book above all others, and then we’ve got tradition — all the things that were passed down orally from the time of Jesus that are every bit as much a part of our faith as the Bible. In fact, the two complement one another, and there is an incompleteness to each one on its own. Or so goes the Catholic view. And yes, there has been a lot of contention over this point through the years, but to me, it just makes sense. We have our lived experience and our recorded experience. Why would it be different for Jesus? I mean, at what point did Jesus say, before he ascended, “Put it in the book, and whatever isn’t in the book isn’t true.” It would take a hundred books to record everything anyone has ever known about Jesus’ life! Case in point: you don’t find Anne or Joachim in Scripture, but they existed, they were real, and our tradition goes a step further and says they are bonafide saints. And why wouldn’t they be? They’re Jesus’ grandparents after all. 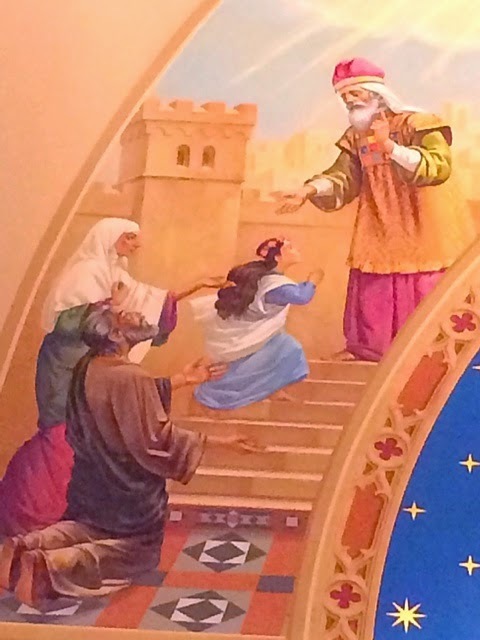 Mary was a special gal, and it goes to reason her parents would have been faith-filled examples to such a young lady; a girl who would someday bear the very son of God! 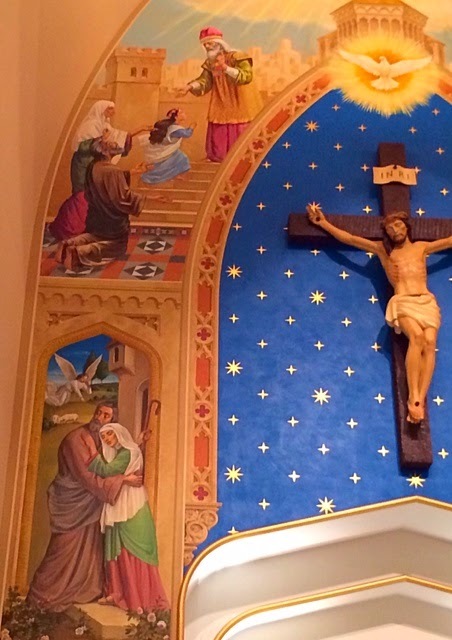 Our parish was named after these saints because we are a younger parish with a lot of families, and Sts. 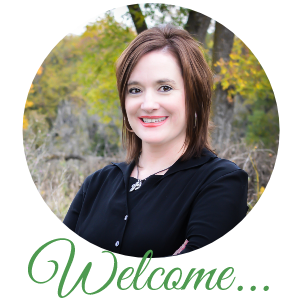 Anne & Joachim are the go-to people for families. They know what it takes to have faith, to teach faith, and to live out faith. And it’s not easy, but we can rely on them for help when we falter. They’ve been there before, after all. No, they’re not God. They can’t effect miracles. But they can pray for us. Thursday night, we gathered for our parish’s annual celebration in honor of our patron saints. We started with Mass. Afterward, I thought it the perfect time to grab some shots of Sts. 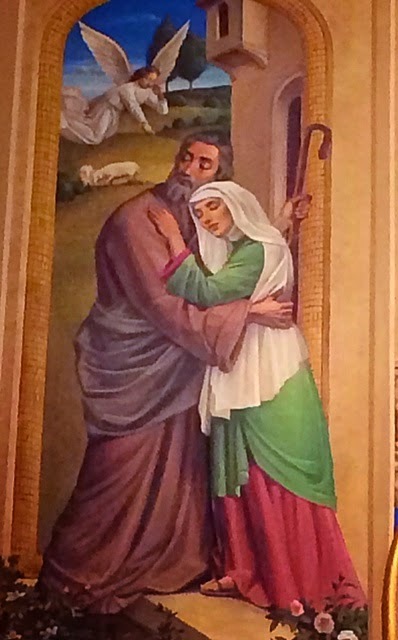 Anne & Joachim as depicted in the painted mural on the back wall of our altar. I just love this depiction. It says love, and faith, and commitment, and it’s beautiful besides. Look at the way Mary is humbly accepting her special mission. From there, we moved outside for our yearly picnic. I was too busy enjoying being with my family on a nice summer day to take photos, but the line for the brats, hot dogs and hamburgers was very long. We enjoyed catching up with some friends we hadn’t seen in a while, and having some Dippin’ Dots ice cream. We had to leave before the magic act, unfortunately. Sts. Anne & Joachim, pray for us! 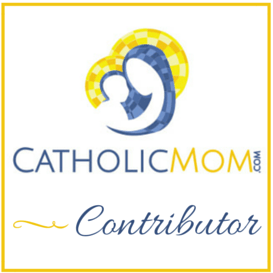 Q4U: What are your thoughts about Jesus’ grandparents? Well you’ve enlightened me once again. I had no idea- but yes, as you say, it certainly makes sense! I often wonder about all the parts that didn’t get into the bible, or scriptures- how many more surprises will there be when all is revealed to us someday?